The common theme in this chapter is physical modeling of engines and the subjects touch three topics in nonlinear engine models and parameter identification. First, a modeling methodology is described. It focuses on the gas and energy flows in engines and covers turbocharged engines. Examples are given where the methodology has been successfully applied, covering naturally aspirated engines and both single and dual stage turbocharged engines. Second, the modeling with the emphasis on models for EGR/VGT equipped diesel engine. 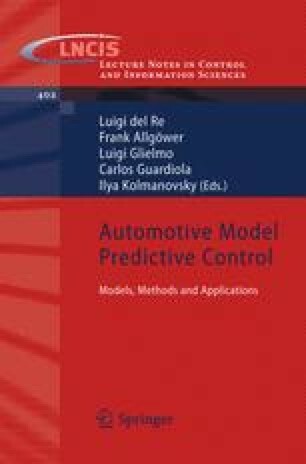 The aim is to describe models that capture the essential dynamics and nonlinear behaviors and that are relatively small so that they can be utilized in model predictive control algorithms. Special emphasis is on the selection of the states. The third and last topic is related to parameter identification in gray-box models. A common issue is that parameters with physical interpretation often receive values that lie outside their admissible range during the identification. Regularization is discussed as a solution and methods for choosing the regularization parameter are described and highlighted.